[post_ads]Reality television personality Joanna Gaines shared on Instagram a photo of her relaxing in a rocking chair on a porch with her 3-week-old son Crew and the family dog. "Me + Crew + Cookie = (heart emoji)," Gaines, 40, captioned Saturday's picture, which shows her youngest child snoozing on her shoulder. Gaines and her husband, Chip, also have four older children -- Emmie Kay, 8, Duke, 9, Ella, 11, and Drake, 13. 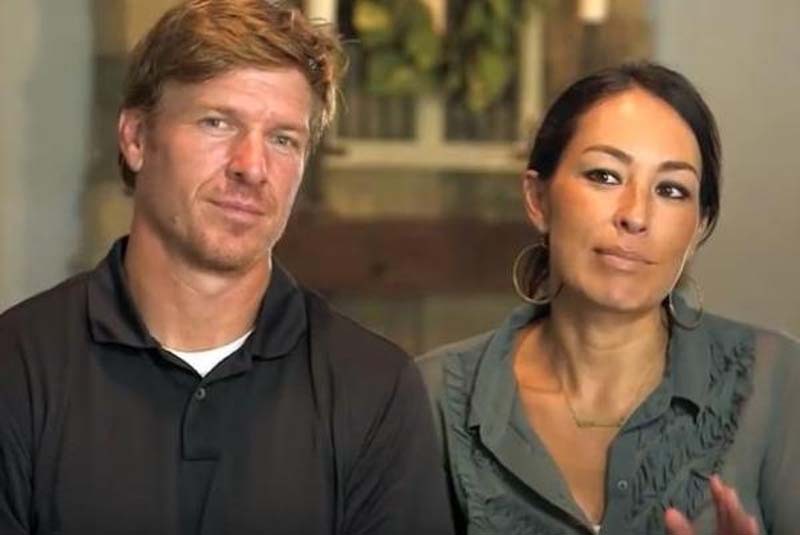 The Fixer Upper stars welcomed Crew to the family in June after Gaines announced her pregnancy in January. "Our baby boy, Crew Gaines, is here & we couldn't be more in love. He made an unexpected (and speedy) entrance into the world two and a half weeks early," Gaines tweeted June 23. "Thank you for all your thoughts and prayers."